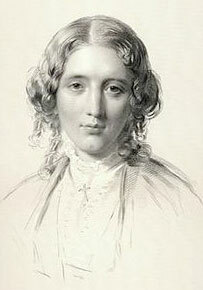 Harriet Beecher Stowe was born on June 14, 1811 at Litchfield, Connecticut. The first twelve years of her life were spent in the intellectual atmosphere of Litchfield, which was a famous resort of ministers, judges, lawyers and professional men of superior attainments. When about twelve, she went to Hartford, where her sister Catherine had opened a school. While there she was known as an absent-minded and moody young lady, odd in her manner and habits, but a fine scholar, excelling especially in the writing of compositions. In 1832, her father assumed the presidency of Lane Theological Seminary in Cincinnati, Ohio, she followed her family. On the fifth of January, 1836, she married Professor Calvin E. Stowe, a man of learning and distinction. In Cincinnati, she came into contact with fugitive slaves. Stowe was catapulted to international fame with the publication of "Uncle Tom's Cabin" in 1851. Following publication of the book, she became a celebrity, speaking against slavery both in America and Europe. She wrote "A Key to Uncle Tom's Cabin" (1853) extensively documenting the realities on which the book was based, to refute critics who tried to argue that it was inauthentic; and published a second anti-slavery novel, "Dred" in 1856.